Henry Cavill and Armie Hammer star in The Man from U.N.C.L.E. – in theaters August 14th. 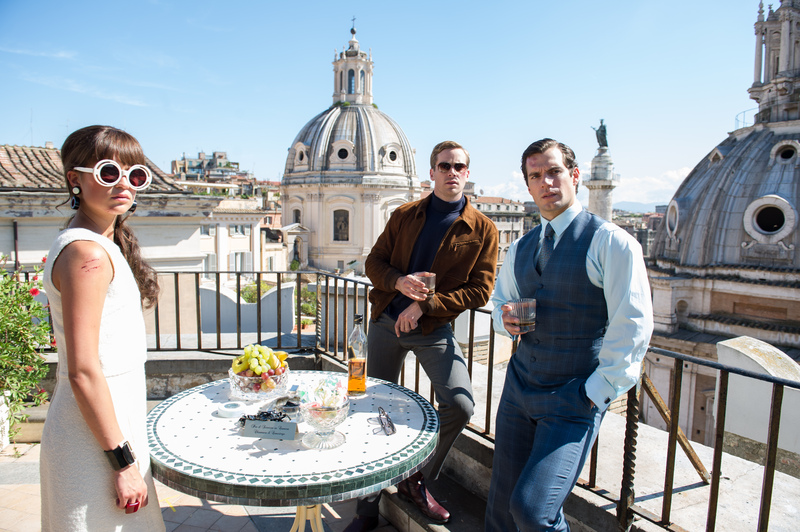 Henry Cavill (“Man of Steel”) stars as Napoleon Solo opposite Armie Hammer (“The Social Network”) as Illya Kuryakin in director Guy Ritchie’s action adventure “The Man from U.N.C.L.E.,” a fresh take on the hugely popular 1960s television series. John Davis (“Chronicle”), Steve Clark-Hall (“RocknRolla,” the “Sherlock Holmes” films), Wigram and Ritchie produced the film, with David Dobkin serving as executive producer. Ritchie’s behind-the-scenes creative team included two-time Oscar®-nominated director of photography John Mathieson (“The Phantom of the Opera,” “Gladiator”), production designer Oliver Scholl (“Jumper,” “Edge of Tomorrow”), editor James Herbert (the “Sherlock Holmes” films, “Edge of Tomorrow”), and Oscar®-nominated costume designer Joanna Johnston (“Lincoln”). The music is composed by Daniel Pemberton (“The Counselor”). “The Man from U.N.C.L.E.” opens Friday, August 14, 2015. A Warner Bros. Pictures presentation, a Ritchie/Wigram Production, a Davis Entertainment Production, a Guy Ritchie Film, “The Man from U.N.C.L.E.” will be distributed worldwide by Warner Bros. Pictures, a Warner Bros. Entertainment Company. Previous PostGrimm Raises Over $300,000 For Portland Children’s Hospital!Next PostMovie Review: Kingsman: The Secret Service Brings The Fun back to Spy Flicks!